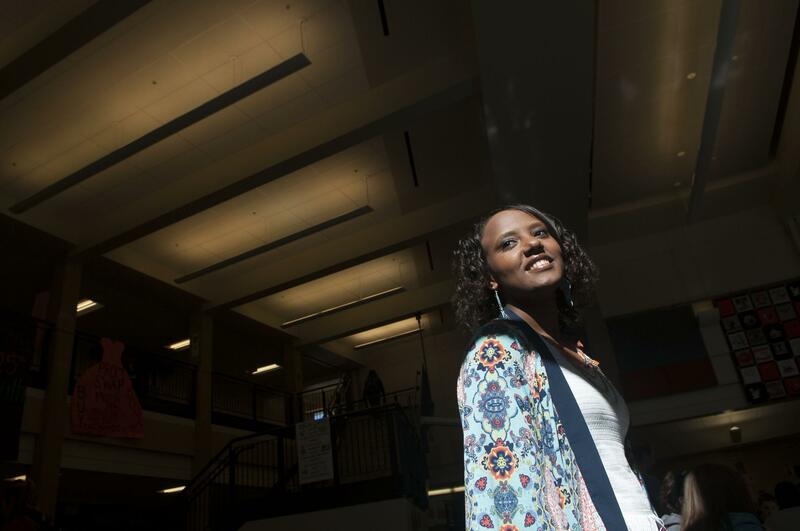 Most students get middle school jitters, but the transition for Meseret Dokken became overwhelming shortly after her arrival from Ethiopia. She and her younger sister were adopted in May 2009 from an Addis Ababa orphanage by Chad and Jennifer Dokken. She was 10 and didn’t know any English when she arrived at her West Valley home. Today, Dokken speaks English easily and jokes about loving pancakes and mall shopping. While adapting to a different culture, she has taken academic leaps. She’ll graduate from West Valley High School with a 3.5 GPA. Early on, she worked hard and did extra summer assignments. A camp at Gonzaga University helped her and other children learn English. Slowly, her skills improved. Dokken credits clubs and sports for helping her adjust, make friends and learn conversational speaking. “I was in choir and that helped me because you have to sound out vowels, and it helped with pronouncing words, because when you’re singing, you have to get it right,” she said. Dokken, 17, played soccer, volleyball and tennis. She joined Family Career Community Leaders of America and the business group DECA. Her DECA project on an Ethiopian restaurant qualified for state. After graduation, she plans two years at Spokane Falls Community College before transferring to Washington State University to study hospitality management. She wants to do wedding or party planning. An Ethiopian restaurant is a back-burner possibility too, she said. Meanwhile for fun, she likes TV, hiking with friends and singing with Valley Bible Church’s youth group. She and her sister Senite, now a 14-year-old West Valley freshman, were born in Wollo. Their birth mother had a heart condition and couldn’t take care of them, Dokken said. Coming here, they joined sisters Jasmine, now an eighth-grader, and Justyna, a West Valley junior. Dokken remembers that at Centennial Middle School, she quickly had to grasp elementary school basics. Lupe Austin, an English language learner instructor, pulled Dokken aside frequently and continued that support for six years. This year, Dokken barely needed help. Dokken still has to put in some extra effort, and writing papers can be a challenge. She said hard work mixed with some stubbornness has helped.